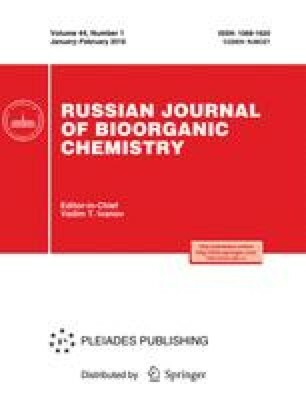 A pectin polysaccharide named bergenan was isolated from the freshly collected leaves of the leather bergenia Bergenia crassifolia by extraction with an aqueous solution of ammonium oxalate. The main component of its carbohydrate chain was shown to be the residues of D-galacturonic acid (about 80%). In addition, the polysaccharide contains the residues of galactose, arabinose, and rhamnose; their total content is less than 15%. It was shown that the bergenan samples from bergenia leaves collected at different vegetation periods (from July to September) do not substantially differ either in monosaccharide composition or in the viscosity of their aqueous solutions. The results of enzymatic hydrolysis by α-1,4-galacturonase (pectinase), partial acidic hydrolysis, NMR spectroscopy, and methylation with subsequent analysis of the results by GC-MS indicate that the bergenan macromolecule contains the regions of a linear α-1,4-D-galactopyranosyluronan and rhamnogalacturonan-I (RG-I). Galacturonan responds for a greater part of the macromolecule. A considerable amount of its constitutent galacturonic acid residues are present as methyl esters. The side chains in RG-I are attached to the rhamnopyranose residues of the backbone by a 1,4-linkages and are composed of the residues of terminal arabinofuranose and galactopyranose, 1,5-linked α-arabinofuranose, and 1,4- and 1,6-linked β-galactopyranose. The branching points of the side chains of the RG-I molecule are 3,4- and 3,6-di-O-substituted galactose residues. Original Russian Text © V.V. Golovchenko, O.A. Bushneva, R.G. Ovodova, A.S. Shashkov, A.O. Chizhov, Yu.S. Ovodov, 2007, published in Bioorganicheskaya Khimiya, 2007, Vol. 33, No. 1, pp. 54–63.